The Student Discovery Showcase at the AZBio Awards is the place where students can connect with Arizona’s growing bioscience community to engage, collaborate. The Student Discovery Zone at the AZBio Awards showcases the latest advancements in bioscience research from Arizona’s High Schools, Community Colleges, Research Universities, and Medical Schools as well as from Industry Partners. 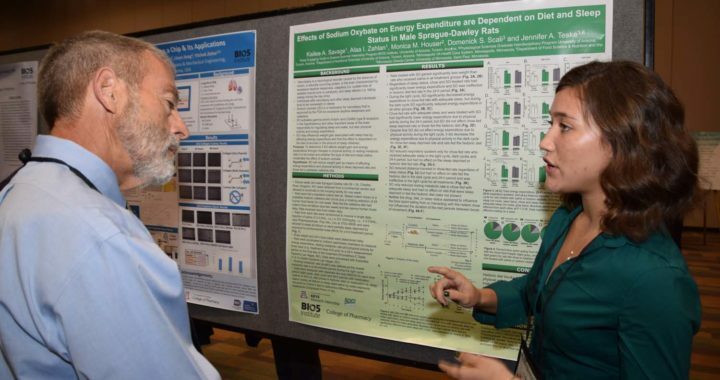 In the fall of 2011, the Arizona Bioindustry Association (AZBio) began the tradition of hosting Arizona student researchers at the AZBio Awards. In 2012, the program also expanded to include the AZBio Expo which is held each spring. 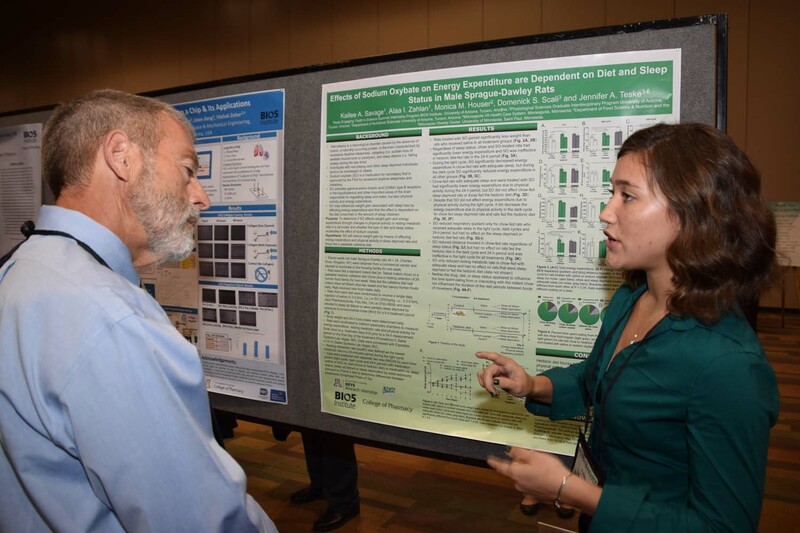 Since its inception, the Student Discovery Zone has hosted over 500 student poster presenters and provided the students with the opportunity to connect and engage with university and industry researchers. The Student Discovery Zone is open to all full time students and recent graduates from Arizona’s High Schools, Community Colleges, Research Universities and Medical Schools. The Student Discovery Showcase is a great opportunity for students from the region to demonstrate their skills and to receive feedback from bioscience industry members. All full-time Arizona Students with research posters in the life science fields are encouraged to apply. Submission deadline is October 1, 2017. Posters will be displayed at the AZBio Awards Reception on October 11, 2017 at the Phoenix Convention Center. Opportunity to make industry connections. Judges will evaluate submissions based on presentation, scientific merit and potential for real-world application. Students will be contacted by AZBio when their poster submission has been reviewed and accepted. Have a question? Email AdvancingBio@AZBio.org or call (480) 779-8101 for assistance. Posted in D3Bio News, Opportunities.